What I have tried; I tried drawing a dynamic root system graphic, which worked and resized properly based on the screen size. But Skiasharp doesn't really work with absolute layouts and adding buttons on top of the SKCanvas. From my understanding absolute layouts are the only way to but buttons in customs spots. I'd like to have the Graphic dynamic and locked onto the buttons. I'v tried just placing the buttons over the top of a background image that already had the root graphic on it. But, they don't always align properly. 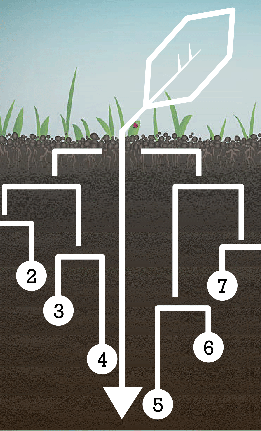 Is there a way to make this work, or another way to draw the graphic and have the buttons bound to the end of the roots? Or am I just stuck with not having them align with a static background image? Browse other questions tagged c# xaml xamarin skiasharp absolutelayout or ask your own question.